If you were hurt in a car accident that another driver caused or blamed for someone else’s losses, then having legal representation is essential. Navigating the court system can be extremely challenging when you’re trying to move your life forward, especially if you’re dealing with injuries. 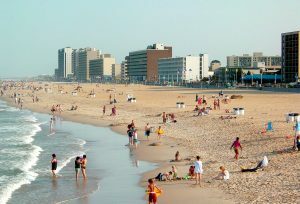 In jurisdictions like Virginia Beach, VA, strict laws and enforcement of traffic incidents can make life even tougher. Can you really afford to tackle such hurdles without dependable legal knowledge? Discuss your case with a Virginia Beach car accident attorney from Montagna Law to arm yourself with the insights and representation that you need to make the right choices. What Should You Do After an Accident in Virginia Beach? Determine whether anyone needs immediate medical assistance. Move out of further harm’s way if necessary. Report the accident to the emergency services immediately by calling 911. Stop and wait for the police to arrive. Report the incident to your insurer, but don’t discuss it with them until you’ve spoken to an attorney. Don’t admit that you were responsible. It’s impossible to know how your time in court or long-term recovery might play out until you discuss your case with an attorney. Working with the Montagna Law team could empower you with a better roadmap to recovery. In a perfect world, the law would help all who need it. Unfortunately, it’s all too easy to find yourself on the wrong side of the rules if you’re unaware of your rights. We specialize in advising all kinds of people who seek to return normalcy to their lives after auto accidents. Our past clients include motorists, passengers, pedestrians and victims in the Virginia Beach area. We’ve also successfully served people all over the world who experienced traffic accidents while working on military bases or as government contractors. Regardless whether you’re pursuing monetary damages to offset your pain and suffering or trying to prove your innocence, we’re fully prepared to help. Contact Montagna Law now to find out why so many people depend on us after their auto accidents.